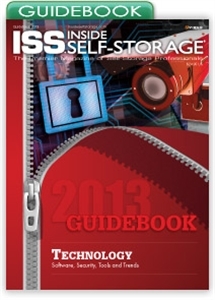 This digital Guidebook will help you understand the technology available for your self-storage business, how to leverage it to your advantage, and common pitfalls to avoid. With technology and communication methods rapidly evolving, the way self-storage operators relate to customers, competitors and the community is changing. It's critical that facility owners and managers be tech-savvy. At the same time, they must strike a balance between automation and personal service if they want to effectively compete.